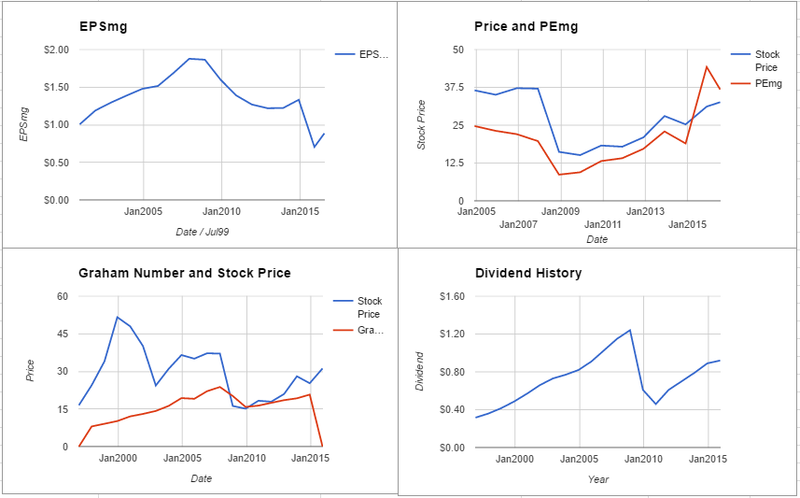 General Electric Company does not satisfy the requirements of either the Enterprising Investor or the more conservative Defensive Investor. 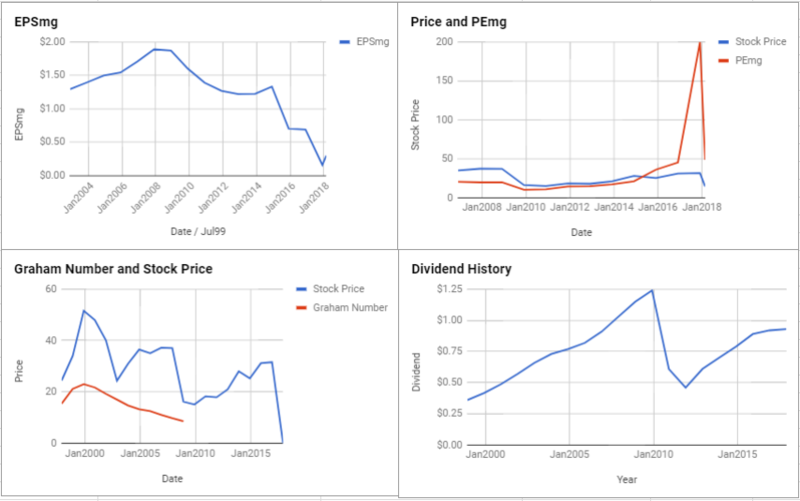 The Defensive Investor is concerned with the low current ratio, insufficient earnings stability or growth over the last ten years, and the high PEmg ratio. 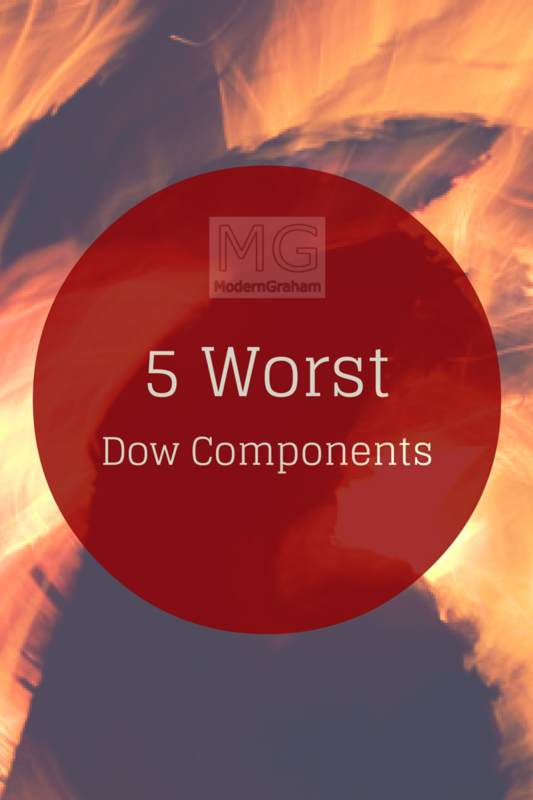 By using the ModernGraham Valuation Model, I’ve selected the five most overvalued Dow Components reviewed by ModernGraham according to the ModernGraham approach. Here’s a summary of each company’s valuation.